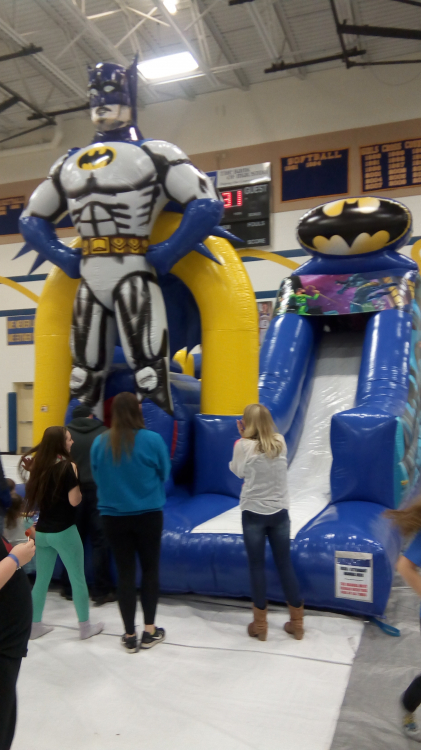 The Batman Challenge is a unique inflatable play structure designed to impress your attendees with its 16-foot Batman likeness standing guard over the entrance. 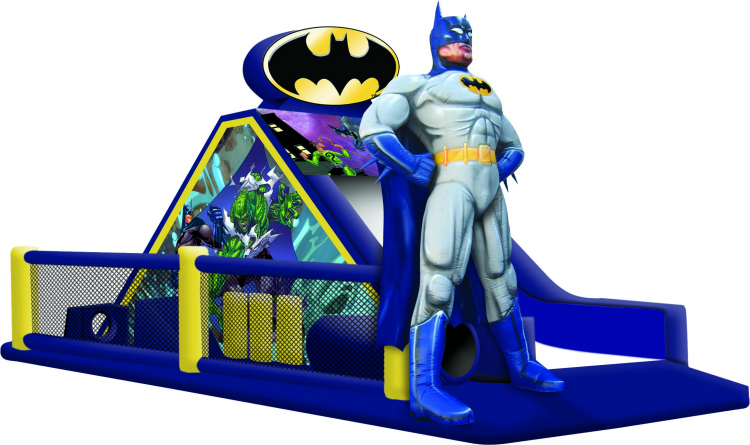 An oversized bat signal is top and center as kids choose any of several challenging activities from this inflatable play structure. Digital artwork depicts the caped crusader in several scenes, defending Gotham and showing off his super hero moves. The inflatable play structure begins with a front-loading obstacle entrance, taking participants through tunnels and pop-ups to facilitate maneuvering skills and build confidence. The challenging obstacle then leads to an exciting front-exiting climb and slide, all to guarantee hours of enjoyable physical activity.